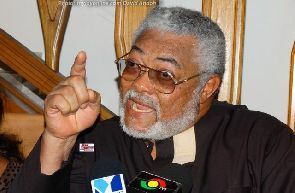 Former President Rawlings has denied endorsing the candidature of any personalities vying for roles in the National Democratic Congress (NDC) as party flagbearer or national executive officers. A statement issued by the former President’s office stressed that he has not endorsed any individual of group vying for roles in the party. 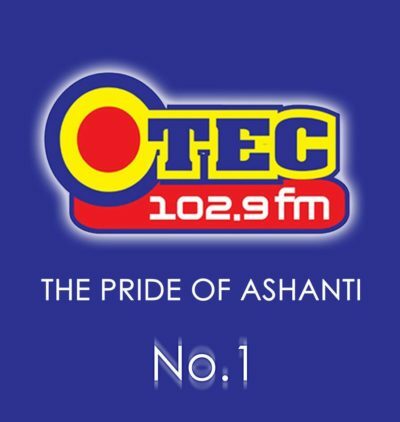 “The attention of the office of former President Jerry John Rawlings has been drawn to publications in the media claiming the Founder of the National Democratic Congress (NDC), has endorsed certain personalities who are campaigning for the roles of party flagbearer and national executive officers,” the statement said. “The Founder of the NDC wishes to make it clear that he has not endorsed any individual or group vying for roles in the party”. 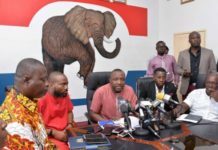 The statement further advised the media to crosscheck information about the former President (Rawlings) before publication in order to avoid the dissemination of false and propaganda related material, especially during the campaign for national office holders in the NDC. 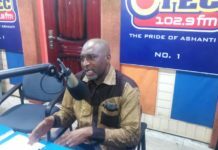 The attention of the office of former President Jerry John Rawlings, has been drawn to publications in the media claiming the Founder of the National Democratic Congress (NDC), has endorsed certain personalities who are campaigning for the roles of party flagbearer and national executive officers. The Founder of the NDC wishes to make it clear that he has not endorsed any individual or group vying for roles in the party. He reiterates that the consultative process which was initiated by the Council of Elders will not be stampeded. This should allow the party to pave way for the emergence of true and committed patriots, whose object and focus is to re-establish the noble core of our tradition and values. 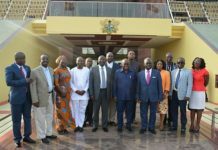 The media is urged to crosscheck information concerning the former President before publication to avoid the dissemination of false and propaganda related material, especially during the campaign for national office holders in the NDC.